EDUCATION leaders from China have learned about education in this country. The 24 officials from the Beijing Xicheng District were given an extensive tour of Ormiston Six Villages Academy. They were particularly interested to find out how schools are managed in the UK. 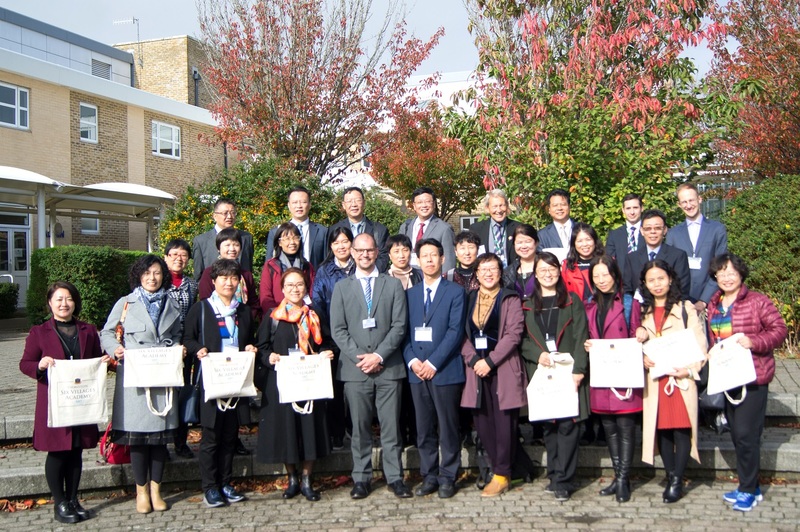 Paul Slaughter, principal of the academy, said: “We were thrilled to welcome the Chinese contingent of brilliant education leaders to Six Villages. “We hope they learned a lot about what UK schools are like, and what our fantastic academy specifically has to offer. The visit was a great success and we’ve received positive feedback from the visitors and the University of Chichester. The visit to the academy, in Lime Avenue, was organised by the University of Chichester. During their time on site, the visitors were given a personal tour of the campus by employees and visited lessons across all subject areas with Year 9 students. They also spent time with Mr Slaughter, who delivered a presentation, followed by interesting and productive talks with senior leaders like Naomi Sheldrake. The academy’s visitors also had the chance to take part in a personal Q&A session with Mr Slaughter before they posed for a group photograph. The Chinese contingent spoke of how impressed they had been with the academy and presented a football shirt to Mr Slaughter as a thank you gift.